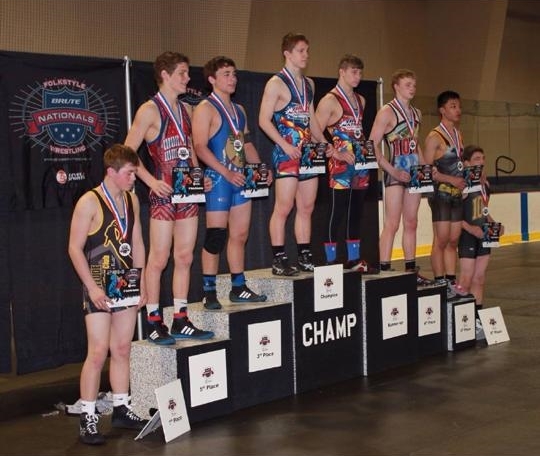 Airline's Christian Walden, Dutchtown's Brandon Cowell and Lafayette's Rodrigo Diaz are high School 2014 Brute National champions. 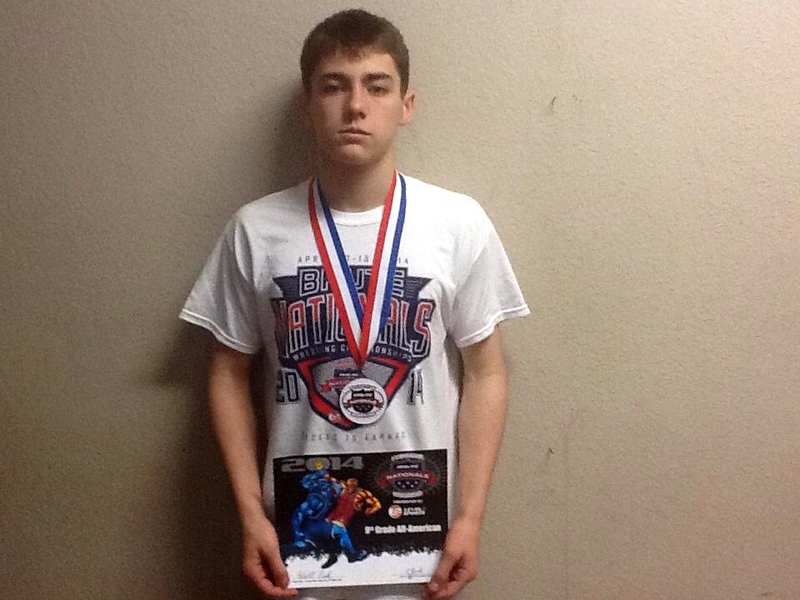 The Northwest Louisiana Warriors' Darrius Evans, a third-grader, placed first at 100 lbs. 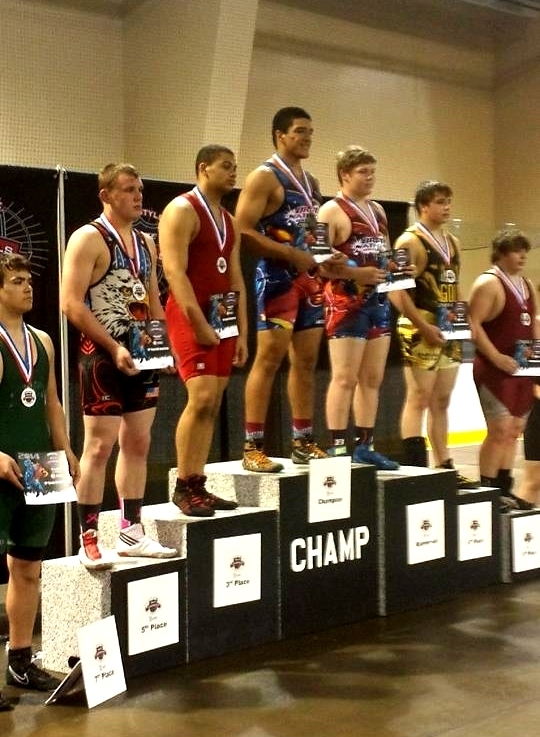 In all, 25 Louisiana grapplers placed in the top-eight to earn All-American honors. 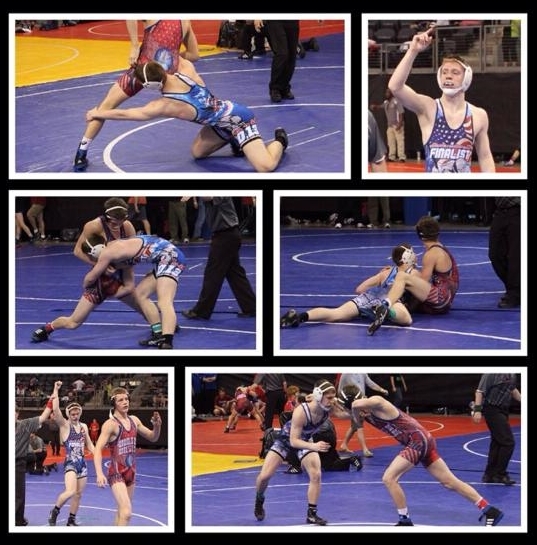 Walden, a, 2014 Division I third place finisher at 126 lbs., won his first match 12-4, pinned his second opponent in 3:04 and advanced to the finals with a 5-3 score. 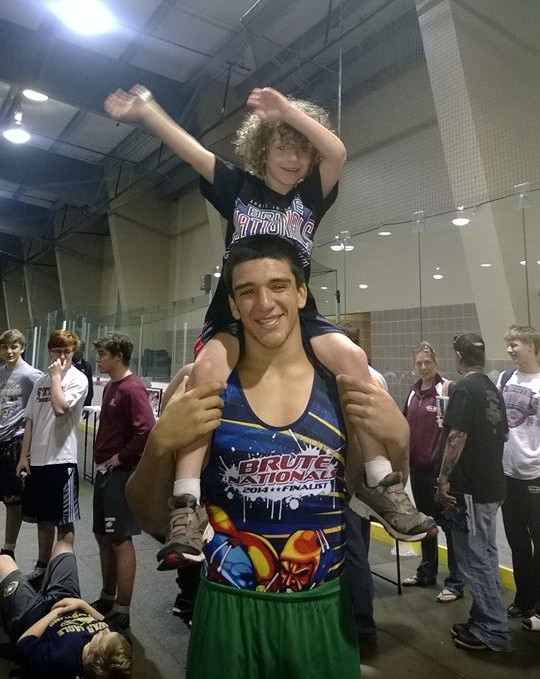 His finals opponent was slated to be Basile's Gavin Cortez, who won via falls in 1:23 and 1:20 to reach the finals. Cortez, however, did not wrestle the all Louisiana finals match due to an illness. Walden was declared the winner by a forfeit. Dutchtown's Division I runner-up at 145 lbs., Brandon Cowell, scored a first round fall in 1:54 and followed that with decisions of 7-2 and 4-2 to reach the finals. He was scheduled to meet Georgia's Jordan Germany in the finals, but Germany forfeited the match, giving Cowell the championship. 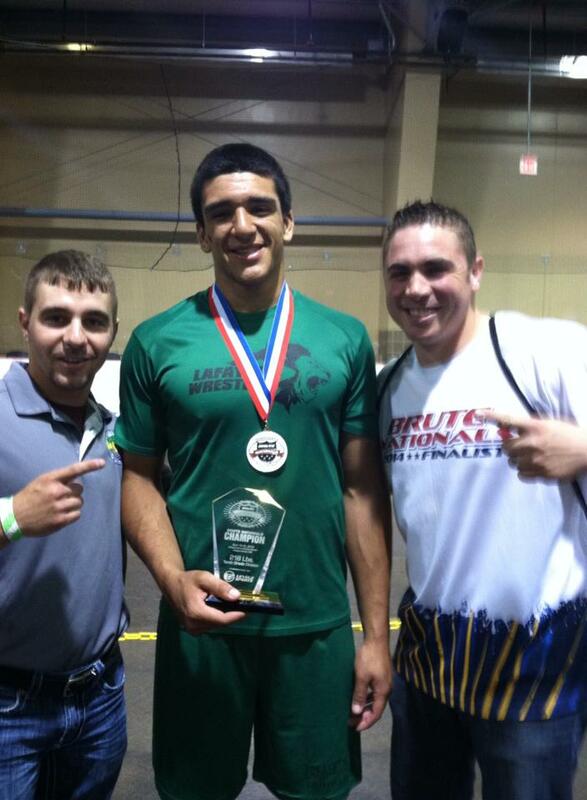 Diaz, who finished in third place at the Division I 220 lbs. 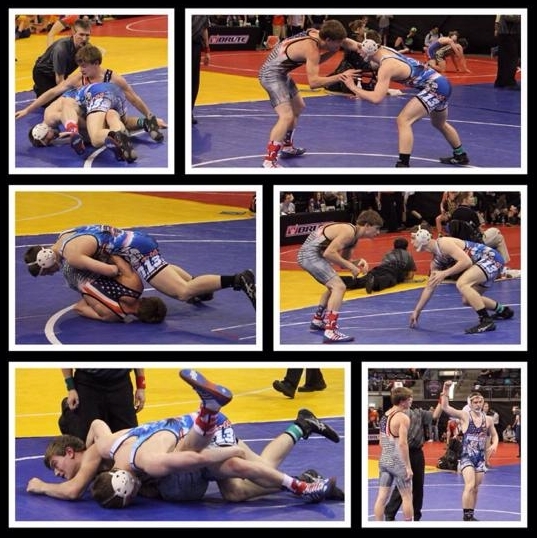 state championships, scored a major 11-3 in his first match, eked by his second match 5-4 and then dominated his finals opponent by scoring a fall in 0:49. [Photos left] Diaz atop the podium; Diaz with his 1st place medal and coaches Adam Porche and Jeremy Spizak; Diaz with Ozias Gray. 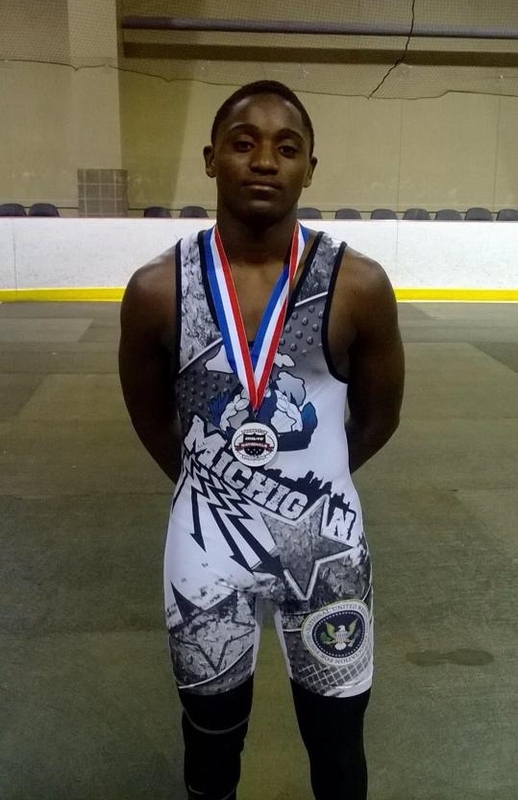 Darrius Evans won his two round-robin matches via falls in 1:30 and 0:37 to place 1st. 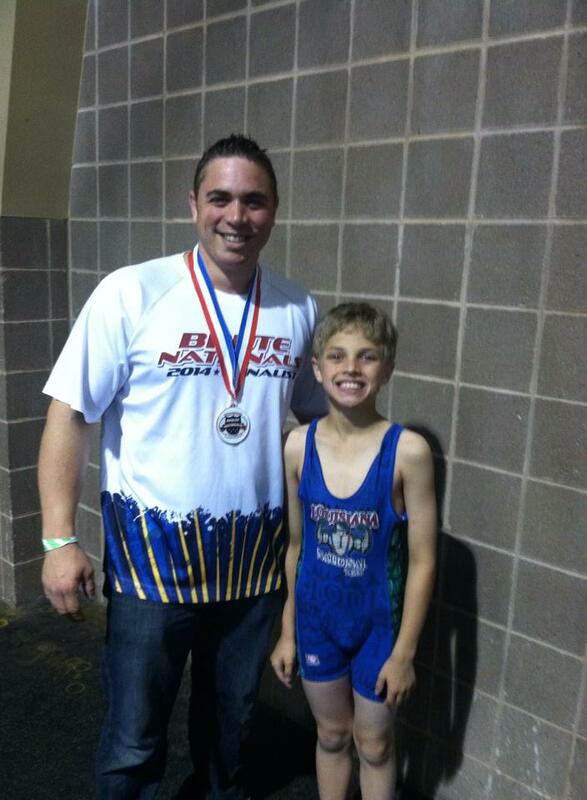 Sixth-grader Landon Reaux of the Comeaux Junior Spartans placed second in the third grade 50 lbs. 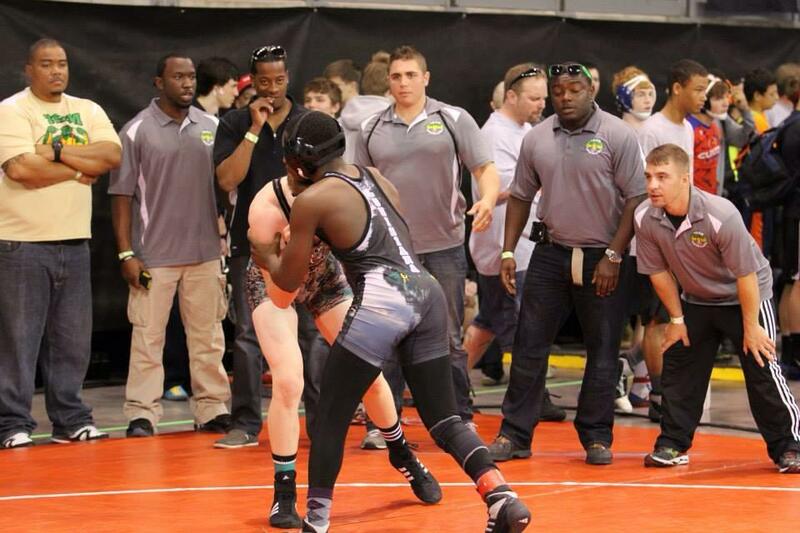 weight class. 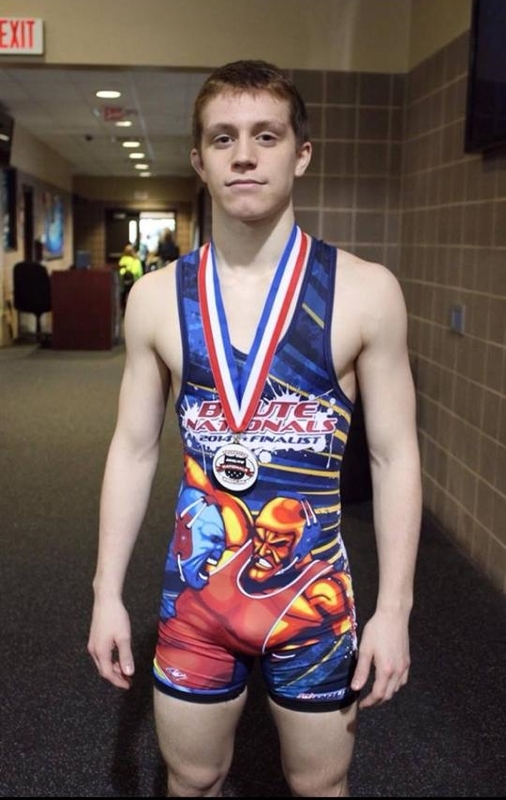 Hahnville's Nicholas Lirette, the 2014 Division I runner-up at 106 lbs., lost a tight 2-1 match in the finals to place second.